Author T.M. 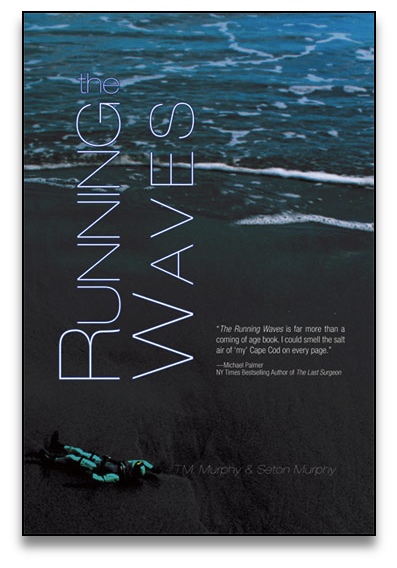 Murphy, a member of the BC Class 0f 1993 best known for his Belltown Mysteries children’s series, has teamed with his brother Seton for the adult novel The Running Waves. According to the authors, The Running Waves touches upon the themes of unresolved grief, baseball, brotherly relationships and redemption in the story of 19-year-old Colin Brennan who is haunted by the memory of a tragic accident that took the lives of his two best friends. The Murphy brothers released the book on Kindle this month in the hopes it can reach and help young people who may be dealing with the death of a loved one. This entry was posted in Alumni Authors and tagged death, grief. Bookmark the permalink.